If you're one of those people whose mother comes to visit from the US twice a year, bringing with her all the packages you've had sent to her house from American online retailers - you can skip this post. This one's for all the rest of us with no 'private shipping service' as described above. As you probably well know, shipping items from the USA can be an expensive endeavor. Not only because the USPS's rates are fairly high to begin with, but also (as described in this post), I'm guessing because of the high demand for American goods, sellers take freedoms with extra shipping charges from their international customers they never would with their local ones. And those "free shipping on orders over $49"? For us international customers, they're as rare as hens' teeth (though not entirely nonexistent - check out my Facebook page). Then there are the retailers who just won't ship abroad, no matter what. The UK is closer and shipping costs are not that expensive, and there are also free shipping options where they don't jack up the price of the items to cover shipping, but there are still British retailers who won't sell to Israel. That's how the various package forwarding services came to be. The deal is that you sign up (for free, usually) at the forwarding site and you get a virtual address in the US, UK or whatever country you're shipping from. Then, when you shop at a retail store,instead of your own address, you input the address the forwarding site has given you instead of your own Israeli one. Once the package arrives a the forwarding company's office, they weigh and measure the package and check out the invoice as to the parcel's value, and then tell you how much they're charging to send it to your house, often by courier, including any taxes, insurance or other fees. After you pay, they will send you your package, often directly to your house via courier. As a rule, I try my best to avoid shipping companies. Their rates are often not much better than the retailers themselves, and the package going through a third party just adds another level of complication. However, if you have your heart set on the occasional amazing deal from a site that either has expensive shipping or none at all to Israel (e.g., eBay sellers who only ship in their country, or Zappos, Walmart or the Apple store), it may be worth it. Also, many of these companies offer personal shopping for those stores which only accept locally-issued credit cards or Paypal accounts, consolidating two or more packages, returning unwanted merchandise, and dealing with Israeli taxes and tariffs. Again, depending on what you buy, this may be worth it for you. Always, always check out the site's shipping calculator before ordering your package from the store. You definitely don't want to be hit with a huge shipping bill by surprise. All of these types of sites have one where you input the item's estimated value, weight and dimensions, and preferred shipping method (e.g., airmail or freight). Do your homework and see if it's really worth it before you buy. Weigh and measure items similar to those you're buying in similar packaging (for example, clothes will usually be in a nylon envelope, shoes in a cardboard box) to get an idea of what you'll be paying. Prefer free shipping within the country, and don't forget coupons and cashback. Compare the different cashback sites and check out retailmenot. Package forwarding companies have deals on shipping rates occasionally - take advantage of these if you can. Some will knock off a certain amount or percentage of the shipping price to attract customers or induce you to buy at certain times or specific retailers, others offer flat-rate shipping costs on specific items. See what's best for you. There are dozens of different forwarding companies. I have tried only a couple, but if you have positive or negative experiences with any of the ones listed, please let me know (by comment, mail or Facebook). 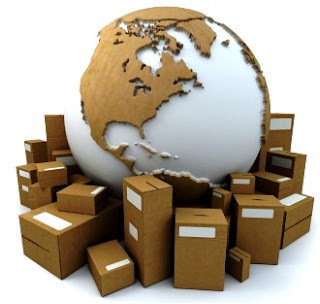 One of the most popular package forwarding sites here in Israel is Buy2USA . Besides very good customer service, there are a couple of distinct advantages to using this site. First, you can calculate exactly the shipping on any item from Amazon by copying and pasting the link into their calculator, forgoing the need to measure and weigh a similar item yourself. Second, some items have flat shipping rates - for example, a pair of shoes always costs $20 to send (excluding VAT or other taxes, if eligible). Another Israeli-based package forwarder from the USA is Mustop . They often have reduced shipping rates when shopping at certain sites. I found their customer service to be excellent as well. If you're shipping a very light item (under 1-2lbs. ), your best bet is using the American Shipito. They offer shipping via USPS Economy Mail, which is the cheapest method. Definitely agree with you about using Shipito for a lighter package. I think once you start consolidating packages, though, many of the services start to look the same. I did my own research on international shipping services (https://www.travelchinacheaper.com/international-package-forwarding-guide) and came up with similar thoughts. You definitely want to look at that shipping calculator before signing up and shipping to an address!